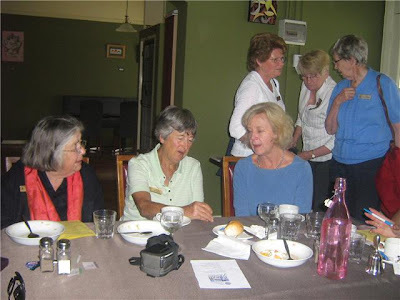 This month we had Maria Taylor, owner and editor of Palerang's monthly newspaper "Bulletin" as our guest speaker. Maria told the members how she came upon acquiring the Bulletin and her vision for it. Members enjoyed her presentation and had plenty of questions to ask even after the official part of the luncheon, as can be seen in the photo below. Our thanks yet again go to Logan's for a wonderful lunch.